SKU: bulking-stack Categories: Best Selling Legal Steroid Alternatives, Bodybuilding Supplements for Bulking, Buy Legal Steroid Alternatives, Top Legal Steroid Alternative Stacks, Which Supplement Is Right For Me? 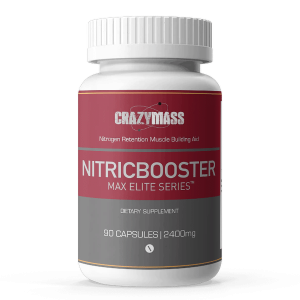 CrazyMass Bulking Stack™ – Build Muscle Mass Fast! Don’t be fooled by imitators. 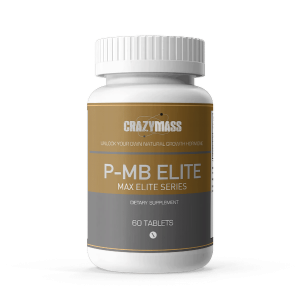 Manufactured in the US, in cGMP FDA certified labs, the CrazyMass Bulking Stack helps you quickly build enormous mass, size, and strength by combining our four top-selling bulking all-natural alternatives in one powerful muscle-building stack that will take your results to the next level. Unlike other companies that are based overseas and aren’t regulated, CrazyMass adheres to strict manufacturing and production practices that guarantee effective, safe products. Our products, made right here in our facility in the USA, work with your body’s natural mechanisms to enhance muscle growth and help you gain the size you need. CRAZY RESULTS Within 30 Days! All-Natural Bodybuilding Supplement Alternatives to Dianabol, Testosterone, Trenbolone, and Deca-Durabolin. WHAT TO EXPECT: CRAZY GAINS! Combine the power of our top four products into our popular legal stack to help you get big fast and gain crazy size. While each supplement can help you grow your gains, when combined they work together powerfully to accelerate your efforts. D-Anaoxn (Dianabol alternative) creates a highly anabolic environment and boosts nitrogen retention in muscle tissue, which increases protein synthesis and results in impressive strength and mass gains. 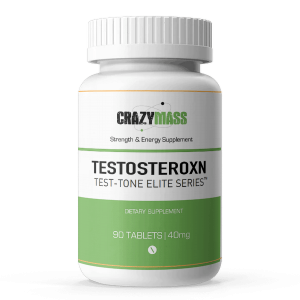 Testosteroxn Test-Tone (Testosterone alternative) is an energy and strength booster that makes this supplement stack truly elite. D-KA Elite (Deca-Durabolin alternative) delivers unparalleled bulking while increasing endurance and performance. There is a lot of misinformation surrounding bulking steroids and their legality, how safe they are, the difference between steroids and supplements, and more. 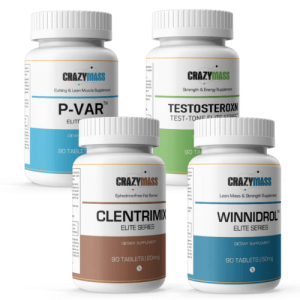 At CrazyMass, all our products use all-natural ingredients and formulated to help you get maximum results without the risk of serious health problems, fines, jail time or other consequences. In addition to the well-documented physical effects of prolonged steroid use in bodybuilders, weightlifters and athletes—such as damage to the liver and cellular adenomas—the scientific community is beginning to understand other negative effects, as well. For instance, researchers from the Department of Physical Medicine and Rehabilitation at Oslo University Hospital in Norway found that, among individuals with a long history of anabolic-androgenic steroid use, there was a decrease in actual brain volume. In other words, there is the potential for steroid users’ brains to become smaller. Our products are a natural and legal replacement for Dianabol, Testosterone, Trenbolone and Deca Durabolin, helping to promote muscle building and fat cutting, as well as quicker recoveries. Take one pill from each bottle as one serving. You can take up to three servings per day; take each serving with a snack or meal and drink 8-10 large glasses of water a day. Take each serving with a minimum of five hours between servings. If taking three servings per day, your stack should last about four weeks. You can take the product(s) for up to eight weeks before taking ten days off from our muscle building stack. Try to take one serving 30-40 minutes before you work out. 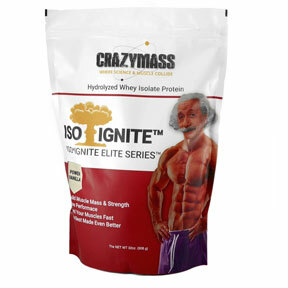 We also recommend an ISO-Ignite Protein Shake one hour pre- and post-workout; the shake ignites the ingredients in the muscle-building bulking stack. 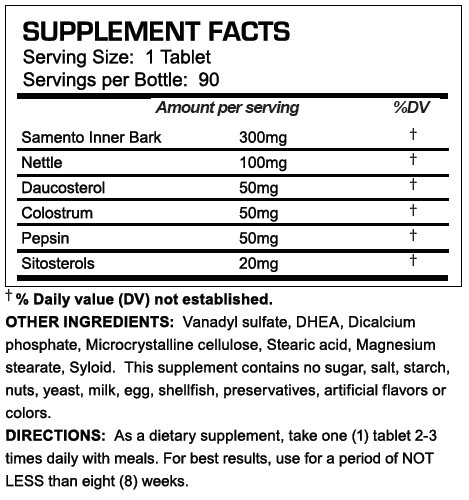 Read more about how to take these supplements with our steroid cycles usage guide. Free shipping in the U.S. and Canada! We happily accept returns of unopened bottles for up to two weeks after the ship date (minus a small restocking fee). Please email [email protected] for a return authorization number. For more information, including on next-day and international shipments, visit our shipping and returns page. You can also contact us with any comments or questions you have. Honestly i have been taking it for about a week and haven’t seen those big changes yet physically but i do feel like i have gained strenght, and my drive is strong. 3 weeks in and not much of a change. Planning to finish the 4th week take a week off and do the cut for a month and return to the stack for another month…. We will see…. Excellent product! I just wondering why I didn’t know about this sooner. These products really work well! I recently purchased the bulking stack,and have been taking now for about 2 weeks @ 2 times a day. I gotta say I’m starting to believe the complete combo(bulking stack) is working as described, but lets not forget hard work and dedication is also required.I have noticed an increase to my energy levels since taking, as it is truly needed for my 3 double days and 2 single days with 2 days off a week. Maybe it’s my metabolism, maybe its the difficulty of force feeding over 4000 calories. I am not getting as big as I would hoped after 2 weeks of using the product. HOWEVER, I have noticed that muscle fatigue and soreness is almost absent. I went from working out on average of an hour or so a day to being able to go for over two hours. I typically only stop because it’s getting late or I work myself up an appetite again and am too hungry to continue. Worth the purchase for the energy alone! So I was 135 after my football season in early December and I became a gym rat. Hitting the weights nearly twice a day and either this stuff works or it was all me but I’m fairly certain a lot of it was this product. Friends thought I was on roofs including my coach. I went from 130 to 165 by late February and my bench went from 165 to 205. Squat went from 245 to 345. I feel as though that isn’t possible without these products so give it a chance guys! I’ve been training for years and have taken many different supplements over that time, but NEVER had results like this. I just got done with a 8 weeks bulking cycle stacked w/HGH. I started feeling the difference after 2 weeks on it and began noticing the gains around week 4. After my 8 weeks cycle, I gained 9lbs of lean muscle mass and completely toned up my overall physique. I would definitely recommend this product to anyone who is serious about their fitness goals. Thanks Crazymass!